Comments: One of the finest miniature selections of this species, having more blue color to the thin needles that do the others. 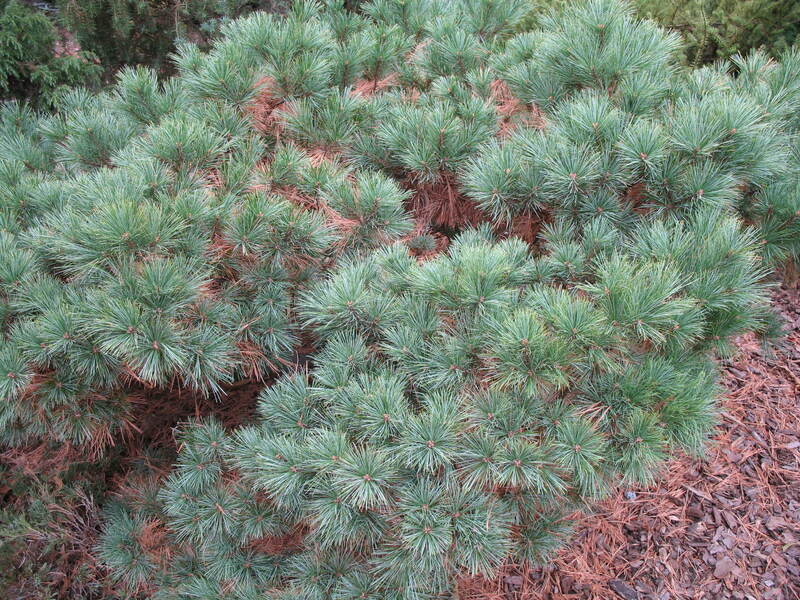 This extremely dwarf pine is globose in form and generally less than 5 feet in height. Effective in foundation plantings, rock gardens and as a specimen plant.